LaserDiscs Are a Few of My Favorite Things! 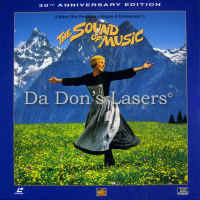 The Sound of Music 1965 - 174 min. 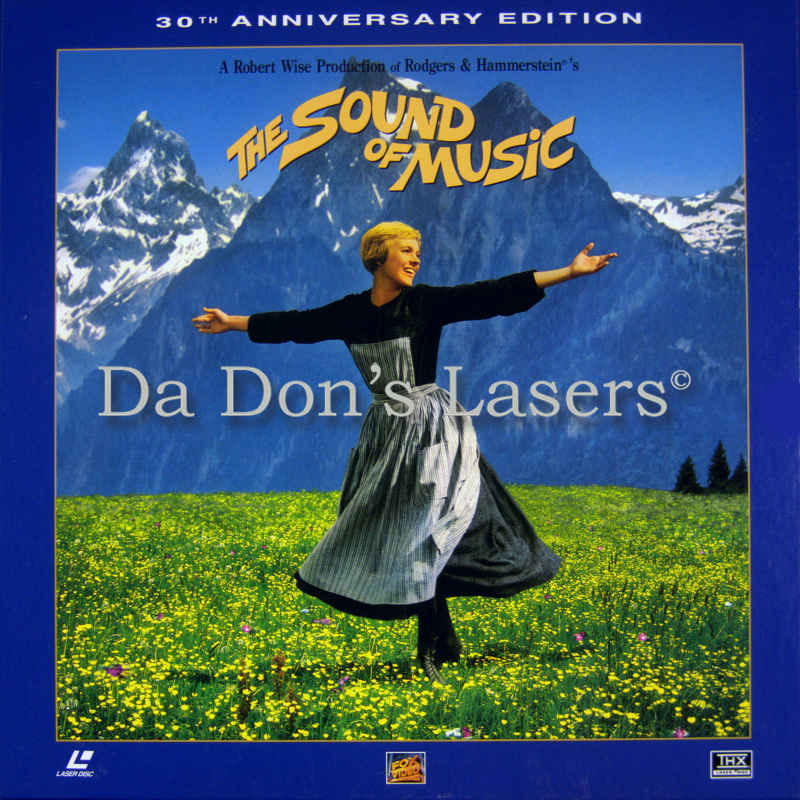 - Color Genre: Musical Rated G Country: USA LaserDisc Movie Storyline: Shot in Salzburg against the majestic Bavarian Alps, THE SOUND OF MUSIC is considered one of the greatest screen musicals ever made. Winner of five Academy Awards, including Best Picture and Best Director (Robert Wise), the film, based on a real family and their true events, tells the story of a young postulate, Maria (Julie Andrews), who, after proving too high-spirited for the Mother Abess and other nuns, is sent off to work as a governess to seven unruly children. The Von Trapp family is run, in military style, by the seemingly cold-hearted Captain Von Trapp (Christopher Plummer), a lonely widowed naval officer. Seeing how badly he and his children need companionship, he proposes to the Baroness Schraeder (Eleanor Parker), a calculating, mutual friend of beloved family friend Max Detweiler (Richard Haydn). It is the baroness who soon realizes that it's Maria--with her warmth and love for the children--the captain really loves. It is nearly bliss for the newly formed family who loves to sing together--except for the cloud looming over their beloved Austrian horizon: Hitler is ascending to power, forcing Von Trapp to decide whether to join the Nazi party--which he loathes--or force his family to leave their home forever. 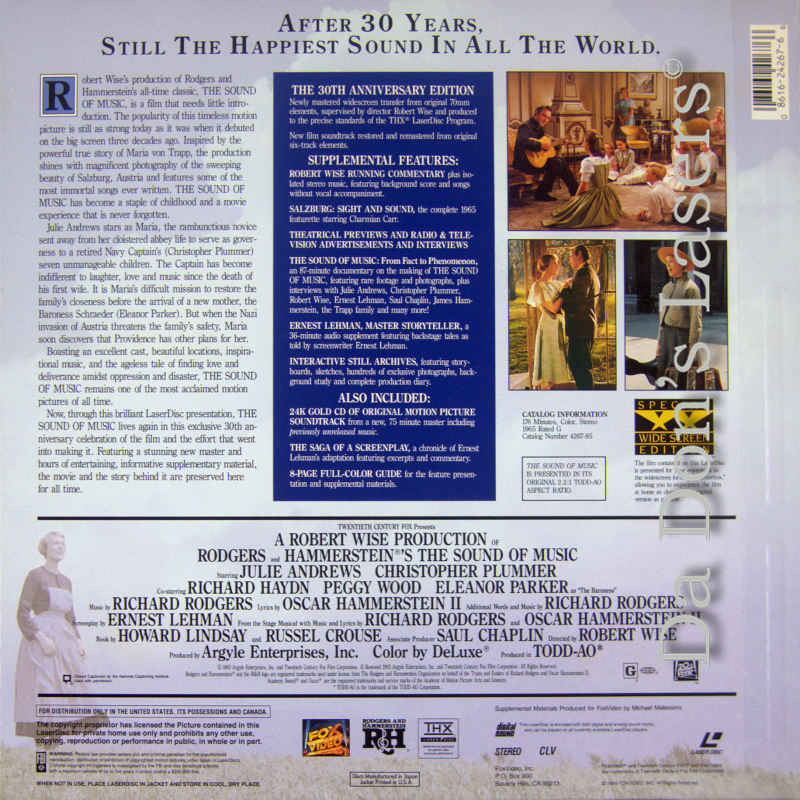 One of the most memorable scores ever written (by Rodgers and Hammerstein) and breathtaking performances by Andrews, Plummer, and the seven children mark this classic as one of the world's most favorite films.